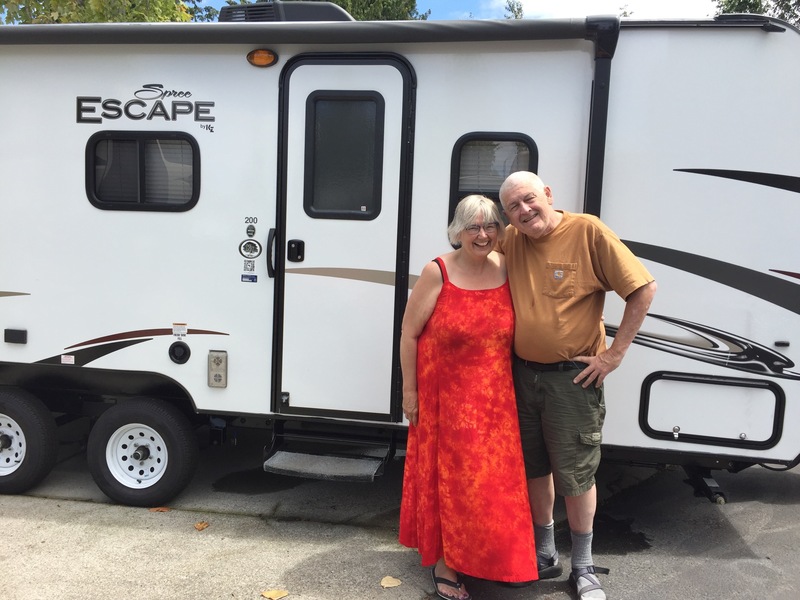 We are Diane Schmitz and Bill Stalder and have lived in Seattle, WA for much of our lives. In the spring of 2016, we sold our house of 26 years, bought a 21 foot travel trailer and a truck to pull it, left our current employment and set out to live and work out of our beloved KZ Spree Escape that we have named Sophia, which means Wisdom. Diane wears various hats as an educator, minister, social justice activist, writer, trainer and facilitator, partner, Mom, Nana, musician, and lover of nature. Bill is humble and didn’t want anything written about him so Diane wrote this. He is a renaissance man, a storyteller, photographer, and writer, who is witty and much loved as a partner and grandpa. We want to chronicle our journey for ourselves and as a way to share with friends and family. Spirituality is a theme because we believe how we make meaning is what guides how we live in the world. Justice is a theme because injustice depends on silence to keep it in place. We want to break the silences about oppression. Living and Working on the Road forms the grounding of our daily lives now; we want to explore all that it is teaching us. We both love to write and our perspectives and ways of writing are diverse. So, you’ll see posts and photos from both of us. Bill will also be posting pictures to his Instagram account and Diane will sometimes reference another blog she has entitled White Matters; an anti-racist explores whiteness and racism. Why the name Sophiasongs? Sophia is one of the early namings of God. Sophia was never a God of place but an understanding of the Sacred as movement of wisdom in our lives. She invites us to risk; a voice calling out for justice and lives of meaning and purpose.